Celebrate the artistry of Grammy Award-winning violinist Augustin Hadelich, first-ever recipient of the Warner Music Prize, in this exclusive recital. Tonight, he performs works by Tchaikovsky, Stravinsky, and Sarasate, accompanied by pianist Kuang-Hao Huang. The newly inaugurated Warner Prize is awarded annually to a classical musician aged 35 or under who demonstrates exceptional talent and outstanding promise. Highlights of Augustin Hadelich’s 2015-2016 season included debuts with the Chicago Symphony, Pittsburgh Symphony, and the Orpheus Chamber Orchestra in Carnegie Hall, and return performances with the London Philharmonic, The Philadelphia Orchestra, and the symphonies of Atlanta, Cincinnati, Detroit, Louisville, Milwaukee, New Jersey, Oregon, Seattle, Utah, and Vancouver. Other projects include a return to the Wigmore Hall in London, a recording with the London Philharmonic, a residency with the Bournemouth Symphony, and numerous recital appearances in Germany. 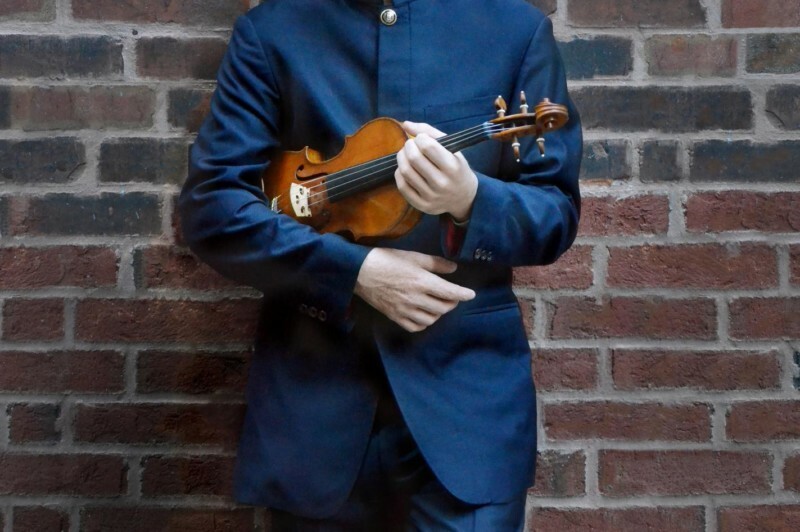 The 2006 Gold Medalist of the International Violin Competition of Indianapolis, Augustin Hadelich is also the recipient of an Avery Fisher Career Grant (2009), a Borletti-Buitoni Trust Fellowship in the UK (2011), and Lincoln Center’s Martin E. Segal Award (2012).